Here we draw together some key essays, images and art projects by the Lab’s participants, as well as a close documentation of its associated events, talks, and exhibitions, to create a vivid portrayal of post-media practice today. : Schultz, Oliver Lerone, et al. 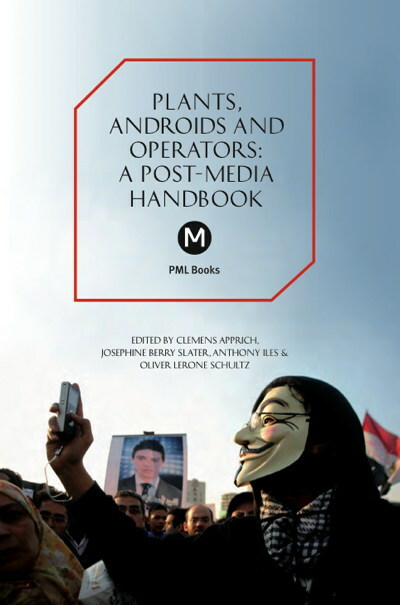 (2015): Plants, Androids and Operators: A Post-Media Handbook. Clemens Apprich, Josephine Berry-Slater, Anthony Iles, Oliver Lerone Schultz (Eds.). PML-Books Series, #6. Post-Media Lab/MUTE. London/Lüneburg. Deckspace.TV reSynced : Adnan Hadzi & James Stevens.